In her sermon on February 3, Rev. 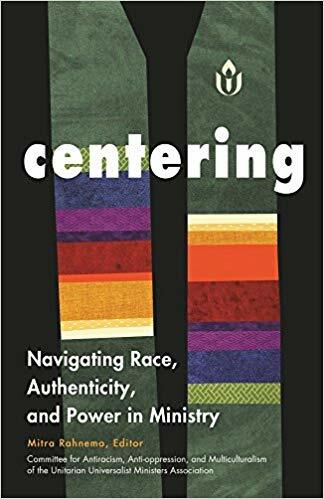 Roberta encouraged everyone to read the UU book “Centering: Navigating Race, Authenticity, and Power in Ministry.” A copy is now available to borrow from our church Library. And stop by any Sunday morning to see other current titles as well. The Library is on the first floor in the classroom wing, at its junction with the church office hallway, and is wheelchair accessible on Sundays from the rear parking lot entrance. Books may be borrowed by following posted check-out instructions, and returned promptly so that others may use them.